Central heating is as you would expect to have in a house. Some kind of central boiler that can be started by the press of a button or via a timer that heats the boat by radiators or possibly warm air. Warm air heating is quite rare on narrow boats so I am going to focus on central heating using wet radiators as we would in the house which is far the most common. 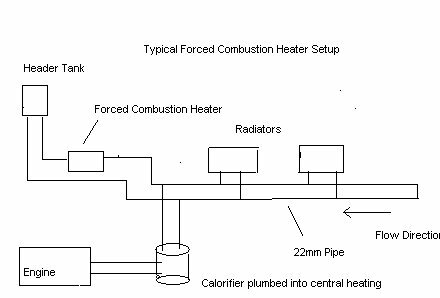 If you look at the diagram of the stove with back boiler system in Part 1 – Stoves article, that basically is a central heating system but using the stove as the central source. All of the common heating systems available for use on a boat use the same system but with some kind of automatic boiler replacing (or in addition to) the stove. These are very small units, no more than the size of a shoebox and a typically installed in the engine space at the back of the boat. They run on diesel and are a heat exchanger system – that is to say they don’t heat up a tank of water as such, the water is heated only as it circulates through the jacket of the unit. There are three well known makes of this type of unit. Eberspacher, Webasto and Mikuni. All three of these work in pretty much the same way. Inside the unit is a burner tube with a gauze mat at one end. Behind the burner tube is a fan. Diesel is dripped onto the gauze mat and the vapour ignited by a hot glow pin or plug. The fan then blows through holes in the bottom of the burner tube to “force” a large hot flame that extends for the length of the burner tube. This heats an aluminium jacket through which water is pumped via a built in circulation pump. The water then circulates around the pipe work and radiators (See diagram). Earlier installations of these systems had the header tank installed with just a single connection to the line that flows back into the heater but suffered often with air locks so later systems actually run the piping back from the radiators through the header tank and thus automatically bleed out any air (as seen in the diagram) this is a much better setup. Issues: These types of heaters are run very hard and as such require very regular servicing as the burners and heat exchanger “coke up” quite quickly especially if you are a live aboard using the system every day. If not regularly serviced they become very unreliable! They also need really good power in the batteries to start up. A very common call I used to get was first thing in the morning – “My heater wont start up!” Of course in the morning the batteries are at their lowest having been used the night before and unless you have full power the heater will not light! Easiest solution is to start the engine, then start the heater, wait about 10 mins then turn the engine off – by this time the heater is up to temperature and only requires small amounts of power to run the fan and circulation pump. Expect a heater of this type to use about ½ a litre of fuel per hour. Another issue is if you just use radiator heating it can be a damp heat. Any moisture in the cabin just expands and becomes condensation. Sensible configuration is to have a solid fuel stove as your main source of heat and one of these as a backup and for use in spring and autumn when a stove would be too much – I definitely would not advise a live aboard to ONLY have a forced combustion heater as the source of heat. By the way, it is perfectly possible to have a stove with back boiler AND a forced combustion heater (or any boiler for that matter) both connected to the central heating pipe work. These are more like a household oil fired boiler. They work by atomising a mist of diesel in a chamber and igniting it with a heat exchanger jacket to transfer the heat. Because of the way they work they are very reliable, do not require intensive servicing and operate under lower power levels BUT they are very expensive to buy! Best known makes are Hurricane and Kabola. Due to their high cost they are quite rare to see on all but top of the range boats. The main player in gas central heating for boats is Alde. 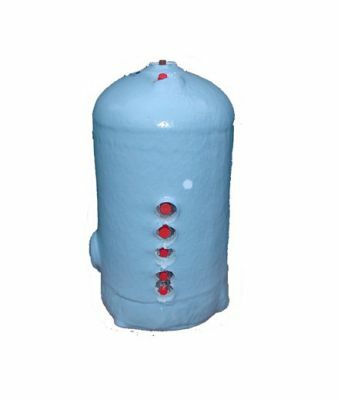 There are two types of boiler commonly seen. 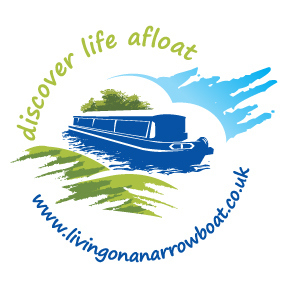 The older model is a tall slim unit and for many years was the heating system of choice for hire boats. 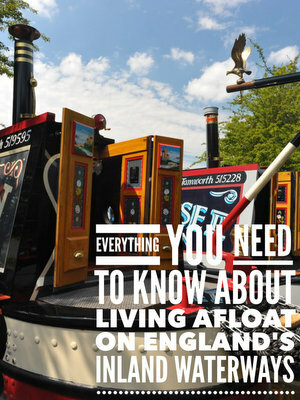 Many live aboards have ex hire boats and the chances are there will be an Alde lurking in the wardrobe! They go from floor to ceiling in a boat and are about 4 inches wide. From the piping and water side of things they work exactly the same as a diesel boiler but the unit itself runs on LPG – or gas. This original unit has a pilot light which is lit using a “press and hold“ button like old style boilers used in a house. They are rock solid reliable though you must keep the header tank topped up. Unlike diesel or solid fuel back boiler systems the header tank in inside the boiler accessed through a drop down flap. The circulation pump is built in to the header tank so if the water level drops below the height of the header tank it stops circulating and the boiler cuts out. Apart from that they are very easy to live with and never seem to go wrong. However, if you use it daily expect a 13kg gas bottle to last about a week (instead of 3 months if just used for cooking!). It sounds expensive to run but think about it – a bottle of gas is say £25? I would expect to get through at least that much diesel or coal using the other systems so its not too bad – just a pain to have to keep changing a gas bottle! 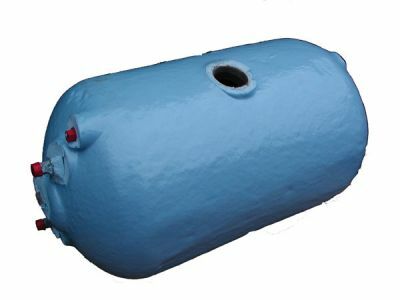 A hot water cylinder can be installed on the boat – called a calorifier. If you have a water cooled engine then it will likely have a take off point for a calorifier – this just redirects some of the cooling water through rubber pipes and through a “coil” in the calorifier. On older engines this will just be a pipe leading to and from the main engine cooling circuit but on newer engines will be a dedicated feed with its own thermostat so that it effectively uses the calorifier to “cool” the engine first (and thus heat water), then switches to the boats engine cooling tank (keel cooling) once the calorifier is up to temperature. This means your domestic hot water heats up really quickly. As I have a vintage engine I have a manual version of this. I have a valve that closes off the keel cooling tank which I leave closed for the first half hour of engine run – this means all the engine cooling water has to pass through the calorifier and as such heats it up very quickly. Keeping an eye on the temperature gauge and checking a hot tap, once I have hot water I open the valve and then the engine can use the keel tank to cool. One day I plan to fit a thermostat as new engines have to do this for me automatically! Most clarifiers have a second “coil” as well as the engine one which the central heating is plumbed into. It connects to the central heating just like a radiator would – inlet to the flow and outlet to the return. (See diagram). When the boiler is on then it heats the water in the calorifier as well. Its really important to have a shut off valve on the calorifier coil so that you can shut the flow right down to balance the system, otherwise it will steal all the heat for a long time before the radiators get hot. This is a third “coil” which is electrically heated and very useful if you are plugged in to shore power in a marina. However – beware – its VERY easy to leave it switched on and then when you are out switch the inverter on to perhaps watch TV and it will flatten the batteries quicker than you would believe! The location of the calorifier is largely dictated by the fit out of the boat. They vary in size but are typically about 12 gallons which is a cylinder about 3 feet long and about 18 inches across. They are also insulated with foam or similar to keep the water hot for long periods. There are two types; Horizontal and Vertical. Horizontal ones are quite popular as they can be located under a bed or in the engine room. There are advantages and disadvantages to having the calorifier in the engine room. The advantages are it can sit on the “swim” of the boat in otherwise dead space, it is close to the engine which speeds up heating it from the engine and if it ever develops a leak (which can happen as it is a pressurised vessel) then it will only leak in the engine space – no drama. However the main disadvantage is that if it is in the engine space then unless you have been running the engine recently it is very cold especially in the winter so even though the calorifier is well insulated it looses heat quickly so if you heat a tank then you really need to use it quickly. Alternatively it can be located inside the boat, under a bed or in a cupboard. In the case of a cupboard then a vertical calorifier is the best bet. If you can imagine that as water is heated the hot water rises to the top of the tank and as you use the hot it is replaced by cold from the bottom. In a horizontal calorifier the distance between top and bottom of the cylinder is quite small so the incoming cold water “spoils” the outgoing hot water quite quickly. In a vertical calorifier the distance between bottom (cold) and top (hot) is far greater so you “appear” to get more hot water. The calorifier system is very popular in boats built in the last 10 years or so, it is a good system because there are many different ways of heating the water and if you are moving the boat a lot its effectively free hot water on tap from the engines waste heat. If you are plugged in you just switch the immersion on and that’s very convenient. However if you are a live aboard on a mooring with no power, or a continuous cruiser who only moves once a week it has one big problem – you have to run your engine (or use your central heating) when ever you need hot water. Now if you don’t have any other way of charging the batteries then of course you need to run your engine anyway. However if you have solar charging or a generator then it can be a pain having to run the engine just to heat the water and a nuisance to have to wait whilst you run the engine to get hot water. Though many of my solar customers report that before solar they were running the engine for 2 hours a day, now only need half an hour just to heat water as the batteries are already charged so its not all bad news. But is there another way – to avoid running the engine all together? The answer is yes and it was very popular on boats from the 1960’s to the 1990’s and it is called the Instant Water Heater. Perhaps the best known make of instant water heater (sadly no longer available) is the Paloma, another is the Morco which is still available due to strange quirk in legislation cannot be fitted to a new boat but can be retro fitted to a used boat. These heaters are a wall mounted unit about 24 inches high, 10 inches wide and 5 inches deep and they have a flue projecting from the top which goes out through the roof of the boat. They are almost always mounted on a bulkhead in the galley. A cold water supply branches off of the run to the cold taps and goes via the heater to all the hot taps or mixers on the boat. The unit is gas fired and has a pilot light which is lit with a push and hold electric ignitor. You can leave the pilot on full time but most people I know only light it when they need hot water as it only takes a second to do so. The unit has a huge coil of very narrow bore pipe inside wound tightly in a tower above a huge 10kw burner. It’s a joy to use, all you do is turn a hot tap on and straight away it automatically fires up the burner which heats water to a good temperature as it passes through the unit and you get instant hot water at the tap. It has a lot of advantages; no waiting for water to heat up – you can come in and have a shower straight away, hot water is unlimited, it only burns gas when you are drawing the hot water. A solar customer of mine sits for a couple of weeks without needing to run his engine thanks to a Paloma. The only downside I can see is that they are not a very attractive unit which by necessity of its design has to be on display on the “wall”. However, if you were looking to retro fit one, they are quite cheap too – the whole kit can be purchased for around £350 – but be sure to use a qualified gas fitter! I had a Paloma on my first boat years ago and it is without doubt the greatest thing I miss. The ultimate system is to have both a calorifier AND an instant water heater. The cold water from the main run to the cold taps is fed first through the calorifier, then through the instant water heater. If the calorifier is hot then the water just passes through the instant water heater and is not heated, but if the calorifier is cold then the instant water heater cuts in and heats it – brilliant! So what’s the best heating system to have? This is question I often get asked and it’s a tough one to answer as it so depends on your profile – are you in a marina, are you cruising all the time or are you moored up a lot with no shore power. Those of you who have read my pervious articles will know I like to focus on making a boat as economical and self sufficient as possible so that you can sit for days moored up with out worry so my recommended system is based on this – and as always is a great ideal! I would have a solid fuel stove in the main saloon and a solid fuel range in the back cabin. Very tempted to have a back boiler but don’t want the electrical overhead of a circulation pump running the whole time the fire is lit, r to go gravity fed as that then has to be a stand alone system so I would drive radiators from an Alde compact boiler which would also heat the calorifier – this would be for occasional use with the solid fuel stoves as the main source of heat.. 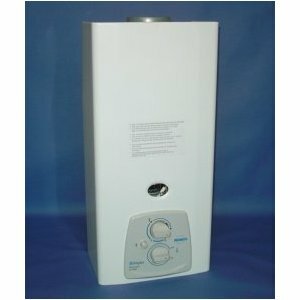 The calorifier would also feed an instant water heater giving me full flexibility. To support the gas heating I would make sure I could carry 3 x 13kg gas bottles. The important thing is to have two sources of heat and many ways of heating the domestic water. If anyone has any specific queries on heating systems please feel free to email me.